Jay Troyer shovels out the driveway behind his home Friday afternoon on 7th Street in Goshen. 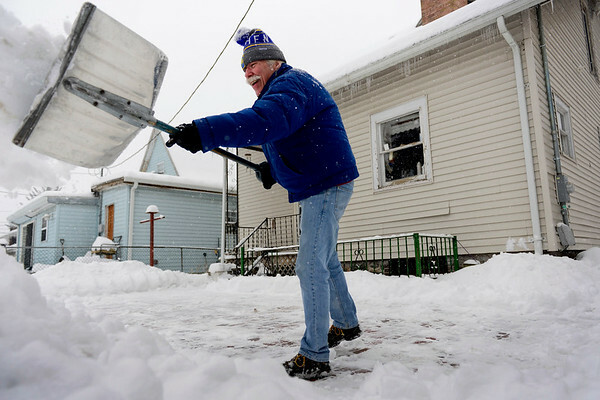 "It's sort of a Sisyphean task, knowing I'll have to shovel again in a few hours," Troyer said jokingly. Snow is expected to fall in Elkhart County throughout the weekend.